This is a 3 card poker/brag like game from South Asia. 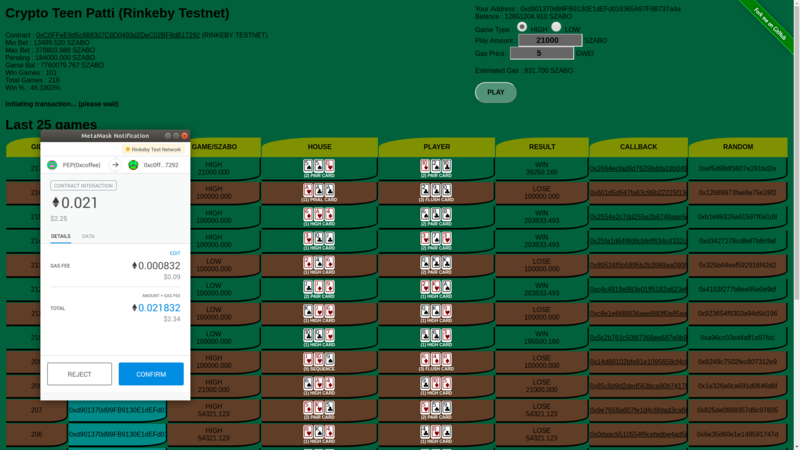 This game is optimized by precomputing 455 states of possible 3 cards. It costs near 250K gas to play per game including init tx and callback from oraclize. Uses Oraclized Quantum Random Number Generator API (https://qrng.anu.edu.au).